A new national poll shows President Trump continuing to slip on two key dimensions: "keeping his promises" and "getting things done." Why this matters: "Trump is now better described by what he's doing wrong than by what he's doing right," says Margie Omero, who runs polling at PSB Research. 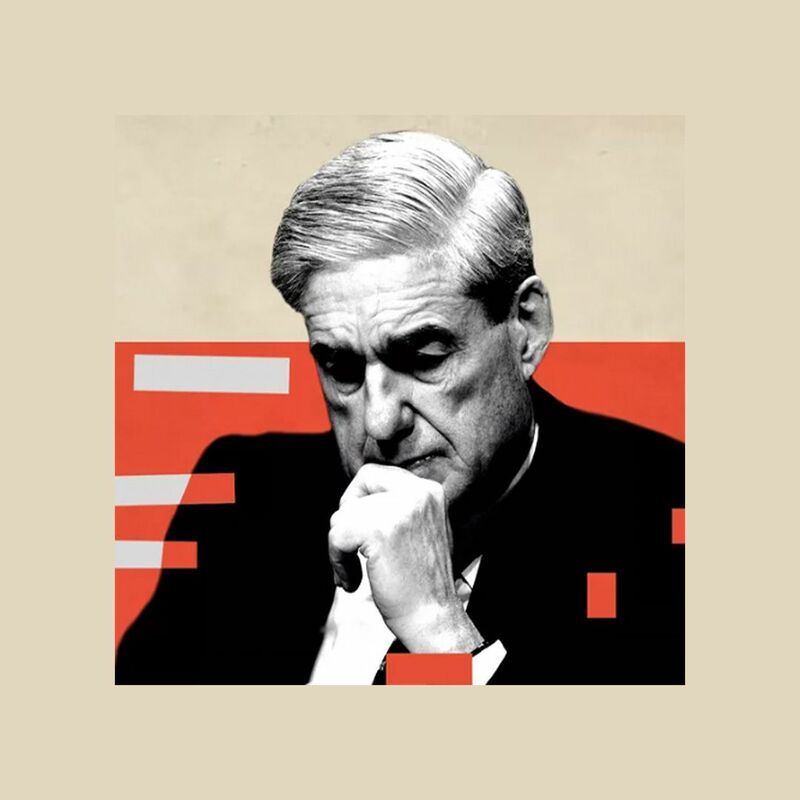 "And we see three months of shrinkage on two dimensions that once defined him...If he continues to lose ground with his own base, he may paint himself into a corner." PSB, a Democratic-aligned firm, has been measuring changes in Trump's performance relative to expectations. In February, more voters said Trump was exceeding their expectations on these two factors, according to that month's national poll of 800 voters. In each of the two months since, however, he's dropped and in the April survey more felt the President had let down rather than exceededtheir expectations. "45% say Trump keeps his promises, down from 62% in February." Uh oh: Trump's image has tumbled even among his own base (which still views him far more favorably than the country at large.) 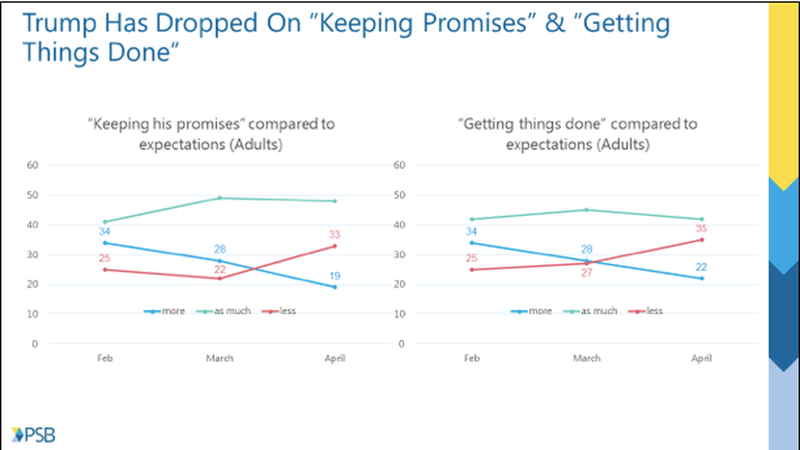 According to PSB just 38% of Trump voters now say he's keeping promises more than expected, down from 58% in February and 50% in March. And 43% of Trump voters say he's getting more things done than expected, a drop of nearly 20 points since February.